The federal Charter Schools Program (CSP) provides funding to State Educational Agencies with the purpose of expanding the number of high-quality charter schools available to students across the nation by providing financial assistance for planning of new charter school programs, implementation of new charter school programs, and dissemination of promising charter school practices in order to evaluate the effects of charter schools; including their impacts on student academic achievement, teaching and learning, families, and the community. Provide funds to charter approved, pre-operational charter schools in the development phase in order to increase educational equity and improve the quality of new charter schools statewide through an intensive incubation period. Provide funds to high-quality charter schools in operation for less than three years in order to facilitate implementation of their educational models, professional development, and curriculum, and to provide professional development in educational equity. Facilitate the dissemination of best practices between charter schools and their public school counterparts, and provide an access point for charter schools to share their evidence-based best practices. Strengthen authorizer quality throughout the state by providing high-quality training and professional development to authorizers. In carrying out these objectives, the Oregon Charter Schools Program (OCSP) provides subgrants to qualified charter school developers and operators for the planning phase and/or early years of implementation of new charter schools, and to experienced and successful operators through the OCSP grant and assists districts in developing and strengthening charter authorizing practices through high quality professional development and training. The OCSP Grant is funded on a reimbursement basis, which means that subgrantees will be reimbursed for allowable, approved activities following proof of expenditure. Costs directly associated with facilitating collaboration and partnerships with other schools for the purpose of disseminating materials and information aligned with the stated Project Goals. 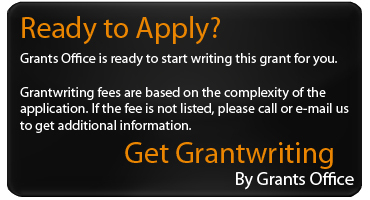 Offsetting or covering costs of preparing and submitting an application for OCSP grant funds. Grant applicants must conform to the federal definition of a public charter school in the Elementary and Secondary Education Act [P.L.107-110, section 5210(1)] in order to be eligible for grant funds under the OCSP. The deadline to submit applications was October 1, 2017. A similar deadline is anticipated annually. ODE has been awarded $8,790,931 for a three-year period. Dissemination awards range between $30,000 and $200,000. The STEM Funding is Here!